Hackers will use any means available to steal sensitive data. A NYC area IT security consultant and MSP discusses the recent NSA Kaspersky Lab Hacking incident and describes data loss prevention (DLP) solutions designed to prevent this type of data theft, in a new article on the eMazzanti Technologies website. 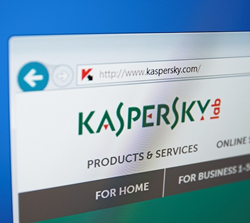 In the informative article, the company reviews the details and allegations surrounding the alleged NSA Kaspersky data theft. The article then explains how DLP solutions block the removal of sensitive data from a network by scanning outbound files. One benefit of the Kaspersky saga is that it focuses more attention on the strategy of checking and blocking unauthorized outbound data. Most IT security solutions just try to prevent inbound threats from entering the network. eMazzanti Technologies urges business leaders to prevent the theft of data by an inside, trusted resource such as AV software, third-party applications or employees. They should consult with their local IT security experts to determine if they need DLP. WatchGuard, an award-winning IT security firm with affordable data security appliances designed specifically for SMBs, provides excellent DLP solutions.